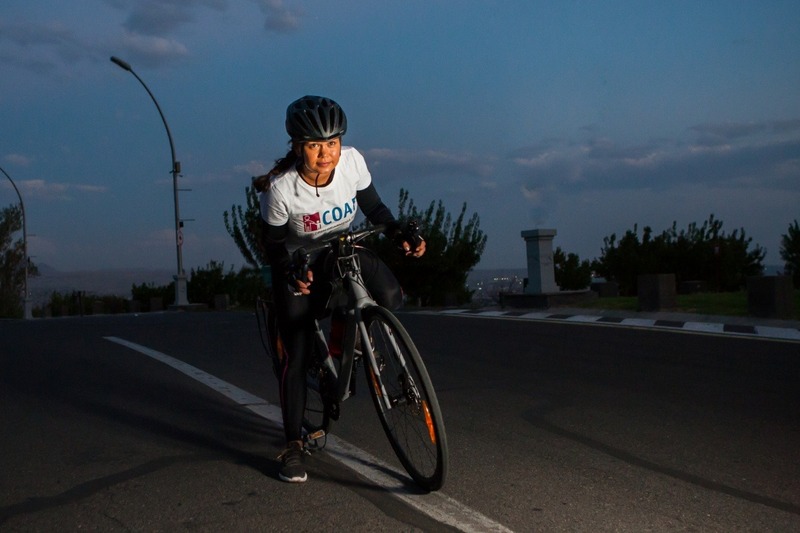 Chess Master Arianne Caoili, will embark on a 2-week cycling tour throughout Cilicia, Anatolia and northern Iran this month. Arianne will start her journey from the medieval Armenian port city of Ayas in Cilicia on September 21 and will finish the trek in the town of Agarak located on the Armenian-Iranian border. Born in Manila, Arianne Caoili moved to Armenia in 2013 and has been engaged in various entrepreneurial and philanthropic initiatives. The Australian chess player, born to a Dutch mother and Filipino father, was awarded the title of Woman International Master (WIM) by FIDE and has competed in seven Women's Chess Olympiads. Children of Armenia Fund (COAF) is an organization dear to Arianne’s heart since its committed to improving the lives of children throughout rural Armenia by giving them opportunities for advancement. Arianne has always been passionate about helping children, especially with regard to education, music and disabilities. 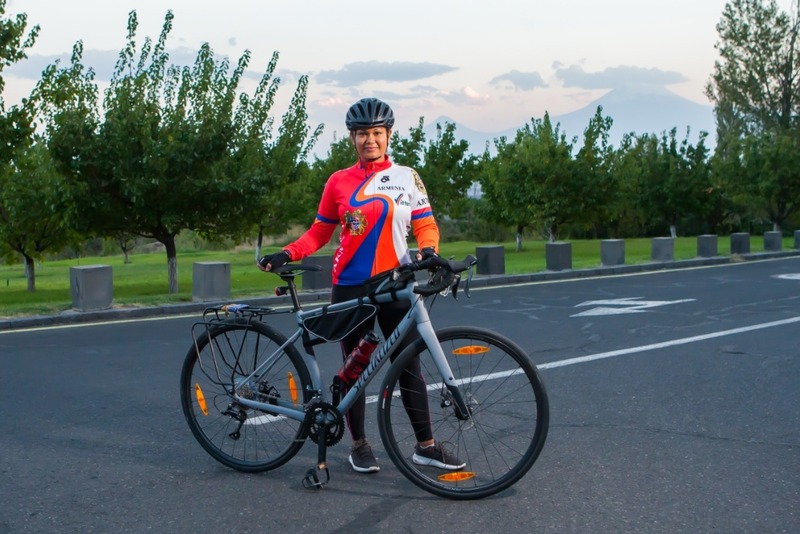 The biking tour’s fundraising goal of $5,500 USD will allow COAF to expand its athletic programs for youth living in 6 villages of Armenia’s Tavush region. Funds will go toward establishing clubs and much needed sporting equipment and salaries for coaches. Tavush, located on the border with Azerbaijan, is prone to sporadic attacks and is in vital need of programs aimed at revitalizing the region and giving youth newfound opportunities and health-oriented activities. Caoili has utilized her professional background in public and private sector consulting as an advisor to the Armenian government. In 2015, she established Armenia’s first boutique strategy consulting firm, Akron Consulting, which specializes in business and public policy advising. She is also owner and editor-in-chief of Champord, the only free, mass-distributed newspaper in the Caucasus region, with the largest print run in Armenia. She serves as chairman of the board for the Champord Fund, an organization invested in the development of civil society and the training of young Armenian journalists. Arianne is currently the CEO of one of Armenia’s largest alcohol distributors, 40 Degrees, a fast-growing, unique and novel start-up which she founded 3 years ago. She is married to Armenian Chess Grandmaster Levon Aronian. Arianne’s cycling expedition will be documented by GoPro action cameras and journalists who will accompany her. Converse Bank has agreed to cover some of the expenses Arianne will incur on her trip. COAF will regularly share footage of Arianne on the road via its social media outlets. 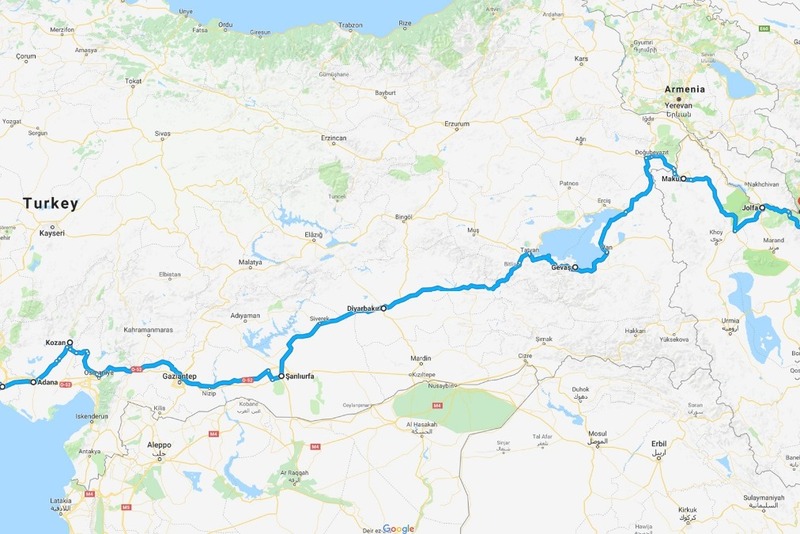 Stopping points on the route include Adana, Sis, Gaziantep, Tarsus, Urfa, Diyarbakir, Van, Doğubayazıt, and Maku. “I am excited to explore the rich history and amazing culture of medieval and ancient Armenia. Throughout the cycling tour I will encounter the vestiges of Hellenistic and Roman empires in Armenia. Further afield we will discover ancient cultures and temples that predate recorded history,” stated Caoili in a recent interview. COAF ( www.coafkids.org) has been using community-led, comprehensive approaches in reducing poverty in rural Armenia since 2003, impacting the lives of 75,000 people. Its strategic programs in education, healthcare, child and family services, community engagement and economic development help Armenian village youth access the resources to achieve and, in turn, give back to their communities and the world.COAF SMART is the organization’s newest initiative designed to jumpstart the advancement of rural communities by connecting them to the world by use of advanced communication and information technology. The first state-of-the-art COAF SMART Center opened its doors in Lori, Armenia in May of this year, offering the 150,000 population of the region both project-based and action-based learning programs. COAF’s board of directors cover all administrative costs, allowing 100% of donations to go toward funding programs. The organization has consistently secured the highest rating on Charity Navigator. Children of Armenia Fund, Inc.